Looking at the upper and lower Ausable Lakes, there was a fresh coating of snow. 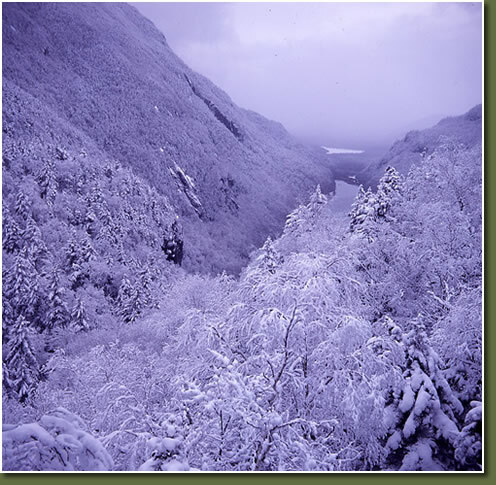 Front cover image for the January-February 2002 issue of Adirondack Life Magazine! !